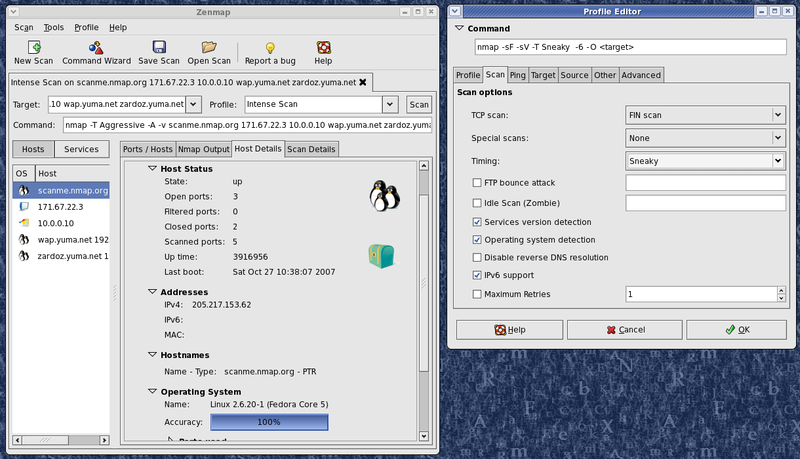 Nmap is a command-line network exploration tool that supports ping scanning to determine the online hosts, port scanning techniques and TCP/IP fingerprinting for remote device identification. VNC updates including vnc-brute support for TLS security type and negotiating a lower RFB version if the server sends an unknown higher version. Added new service probes and match lines for OpenVPN on UDP and TCP.